starting point, at 3150m, 10335ft. all guides are certified river guides. Participants: designed for families with children under 12 years old and respected seniors. Difficulty: grade I rapids; you don't get wet and no need to change clothes. Features: perfect to enjoy the nature and to relax floating on the river. Participants: adventure lovers and people with no prior experience of rafting. 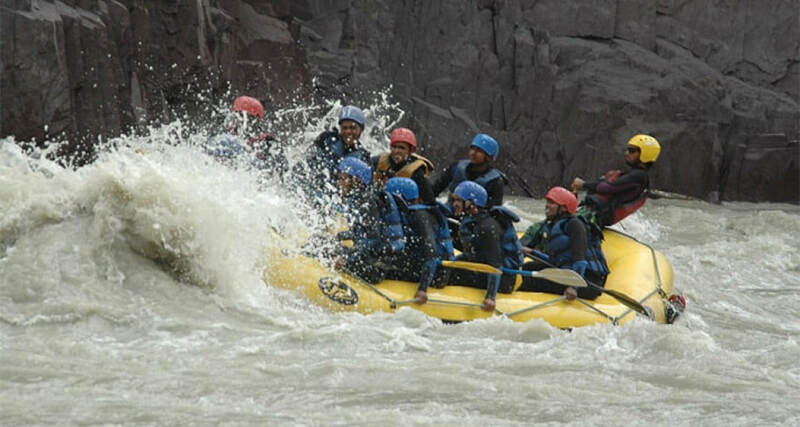 Features: it's the best choice to have a fully exciting rafting experience. Participants: adventure lovers physically fit enough to swim. Features: real adventure, only for the bravest! Participants: designed for families with children under 12 years of age and respected seniors. Difficulty: there are no rapids, you don't get wet and there's no need to change clothes. Features: perfect to enjoy the Ldakhi nature and to relax floating on the river. 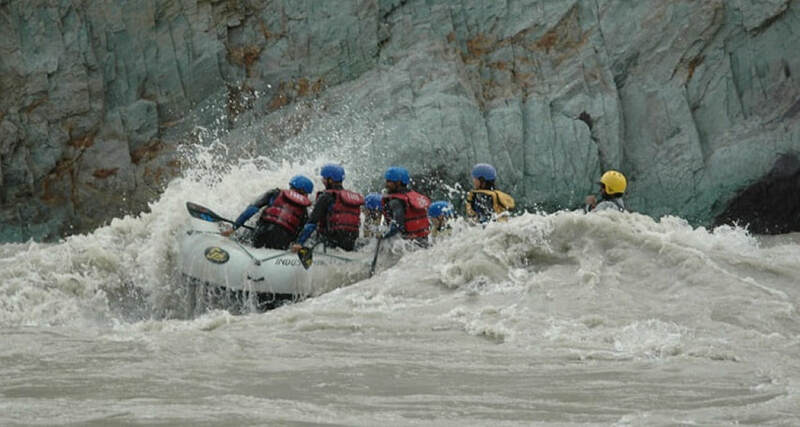 Difficulty: the first 8 km are among the II+ and III grade rapids; 100% of chance to get wet. Note: we provide wet suits and river shoes at our changing facilities; people with medical history like asthma, heart patients, pregnant ladys and anyone with major surgeries in the last six months are allowed to join this trip ONLY for the last 6 km, like the Tsogste trip. Difficulty: grade III+ rapids; high chance to see the raft above your head. We have other trips that are subject to the seasonal conditions of the river and they might not depart every day. Please contact us in advance to know the availability of the trip you'd like to join and the related details. Features: discover Rishikesh and its sightseeings, stay in contact with the nature and enjoy a full day of rafting on the holy Ganga river. Note: we provide wet suits and river shoes at our changing facilities; people with medical history like asthma, heart patients, pregnant ladys and anyone with major surgeries in the last six months are allowed to join this trip ONLY in part. Features: this is the ultimate rafting experience; you'll be able to experiment all kind of rapids, even the harder ones on a IV grade and to fully enjoy the nature at the same time. CAN'T BOOK IT NOW ONLINE? JUST MAKE YOUR RESERVATION AND VISIT US!